Knightsbridge are proud to announce that their innovative new patient seating has been highly commended at the Building Better Healthcare Awards 2018. Reduce the risk of nasty odours, dirt and bacteria which can get trapped in those awkward to clean areas. 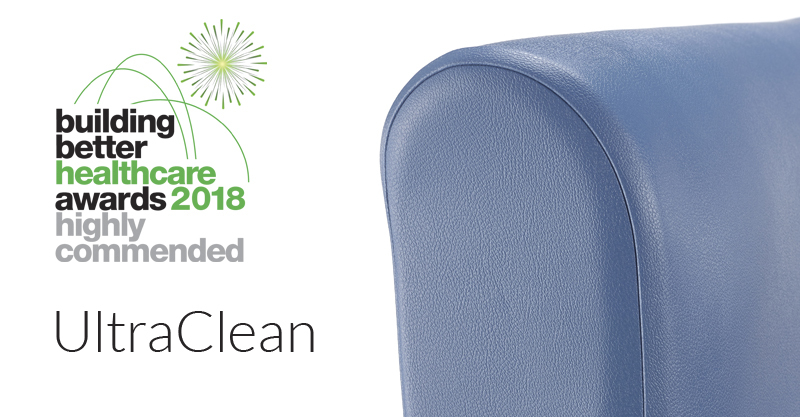 The UltraClean High Back Welded Seams Patient Chair has been developed with welded seams on the seat cushion and back cushion to reduce the risk of ingress of fluids and harbouring of dirt and bacteria.